Next week, April 9th-12th, marks the first round of STAAR/EOC testing for students around the state. 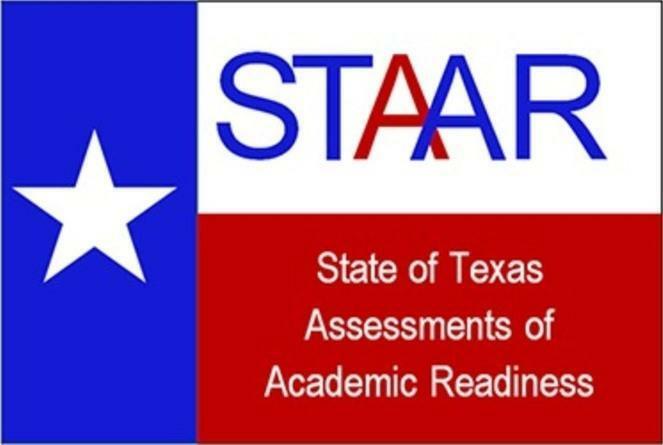 Although state-wide testing was first implemented in Texas in 1980, the current system was adopted in 2012 and is called the State of Texas Assessments of Academic Readiness (STAAR). Each year, STAAR tests are given in the following subjects/grade levels: Reading and mathematics—grades 3-8, writing—grades 4 and 7, science - grades 5 and 8, and social studies—grade 8. End of Course (EOC) tests are given for English 1 & 2, Algebra 1, Biology, and U.S. History. The tests are based on state curriculum standards (TEKS). For more information on the state assessment program and to view student requirements, previous tests, test results and more, visit the Texas Education Agency (TEA) website at www.tea.texas.gov.